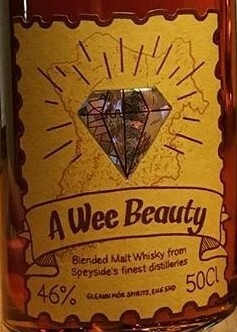 A Speyside Blended Malt from, what Gleann Mór Spirits claims to be, Speyside´s finest distilleries. Quite fresh in the smell. Some tropical fruits and vanilla with hints of oak and raisins in the background. Loads of flavours in the taste, with the vanilla and sweet fruits being the dominant parts. Some oak as well. The finish is long, and the 46% is doing a great job. Once again, some raisins comes forward and brings some of this dark fruit sweetness to the mix. This would go great with a cigar! The finish acts like it is cask strength, even though it is watered down. Gleann Mór could actually convince me that it is some of “Speyside´s finest distilleries”! I will give this 87/100 (21/22/22/22).